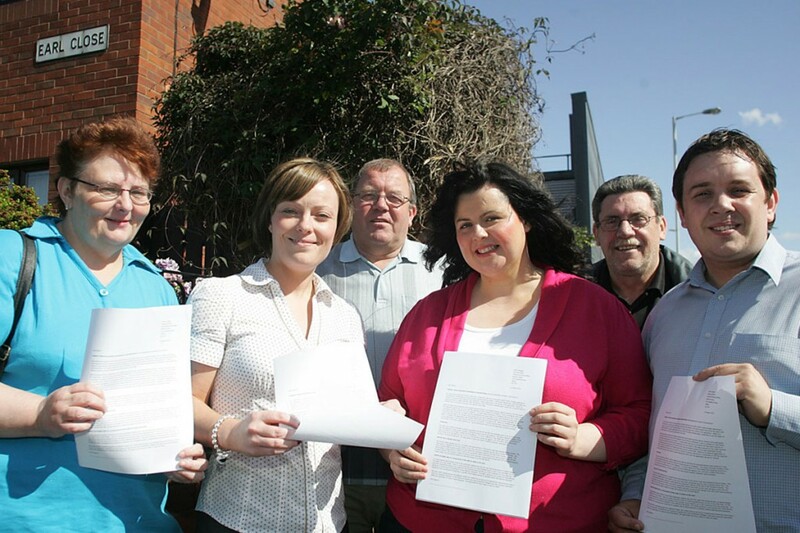 Residents of a North Belfast street have claimed victory in their campaign to stop the erection of a phone mast in their neighbourhood after the phone company made a second application at another site. Mobile telephone giants O2 and Vodafone had planned to build a phone mast in Henry Street in the New Lodge area, which was strongly opposed in a vigorous campaign by local residents. Residents feared the mast would be obtrusive and could encourage anti-social behaviour with youths using it as a meeting point. They were also concerned about levels of radiation emitted from the base station. Recently the phone companies made a second application to build the same mast on top of Cityside Shopping Centre and residents say the second application is proof their campaign is putting pressure on Vodaphone and O2. “We feel like the phone companies know our campaign is working and that they aren’t welcome in Henry Street,” said local resident Alanna McGarry. Local Sinn Féin councillor Conor Maskey is helping residents in their campaign. “The proposed shifting of the mast from Henry Street to the roof of Cityside once again shows that residents have a well organised campaign,” he said. A spokeswoman for the Planning Service confirmed the second application is being considered.